This is not to be confused with FTP or FTPS. SFTP is specially used when the client is looking to SSH into the server. Choose the 64-bit install (setup-x86 64.exe). 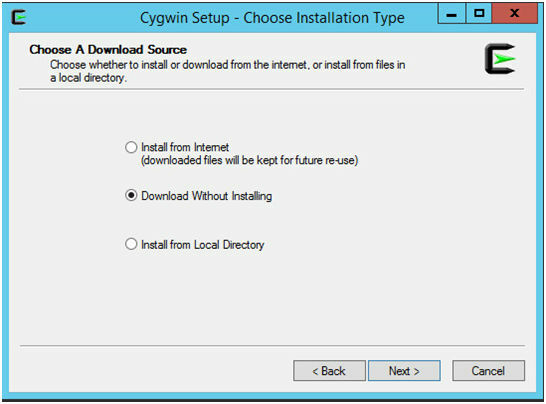 Be sure to select Download Without Installing, as install from the internet has issues. Continue to hit next, selecting direct connection when asked. 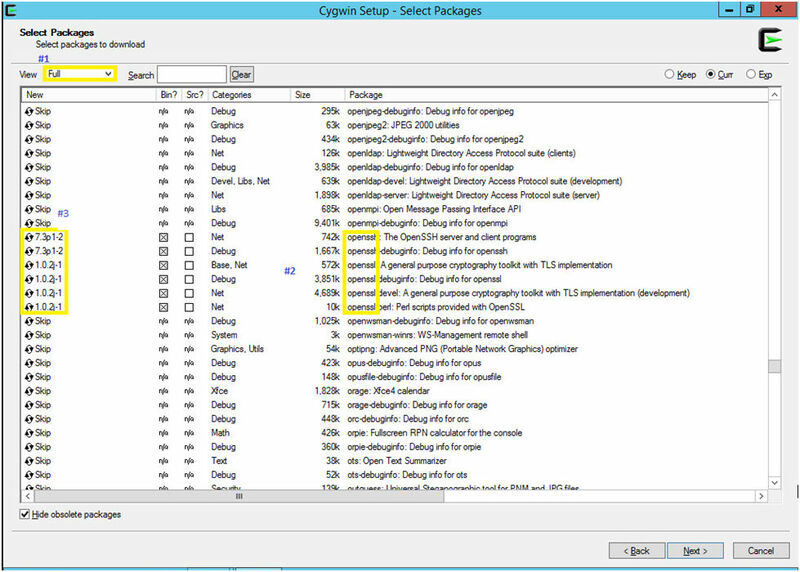 You will be presented with a select packages screen. Then scroll down until you get to the openssh section depicted in position 2. On the far left you will see the word skip. Click on this and it will change to the version number. In this example it is 7.3 on position 3. Do this for all the openssh and openssl options. It should be six selections total. 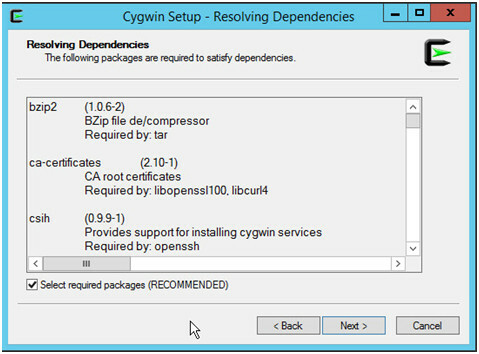 Click next on the Resolving Dependencies screen to begin the install. Allow it to download all the needed files and select finish. 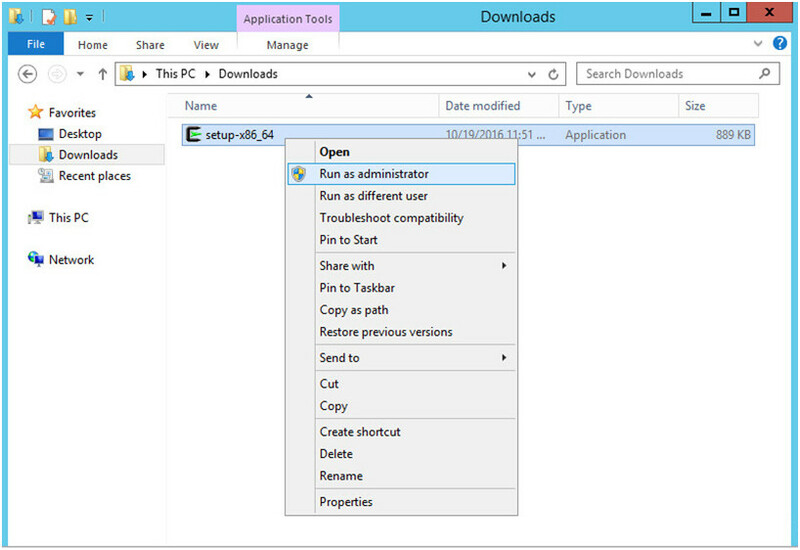 Navigate to the Downloads folder and you will see the setup-x86_64. Hold down the shift key and right click on the set up file, and select run as administrator. Continue to hit next leaving everything on default until you get to the Select Packages screen. This screen should be familiar, and we will repeat the previous step, while before we told it to download these packages now we are telling it to install these packages. 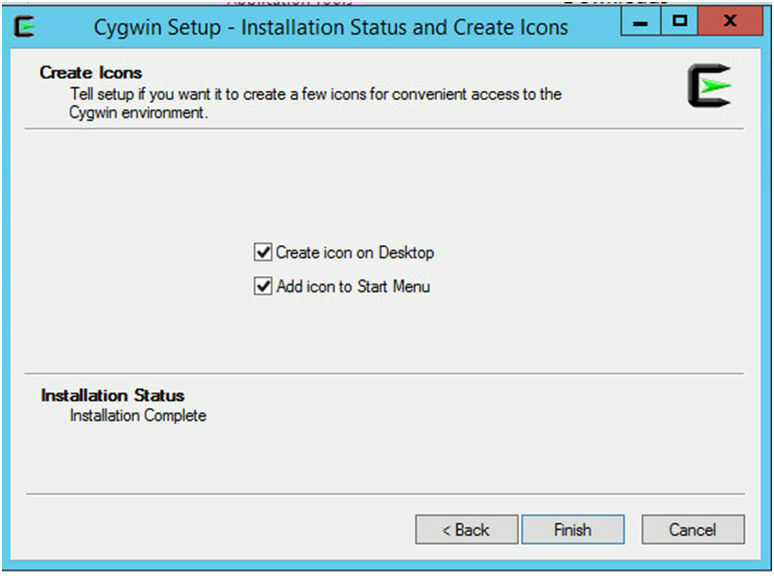 Once it finishes installing, which can take several minutes at displaying 0% progress, it will give you an Installation Status and Create Icons. Deselect theses and click finish. 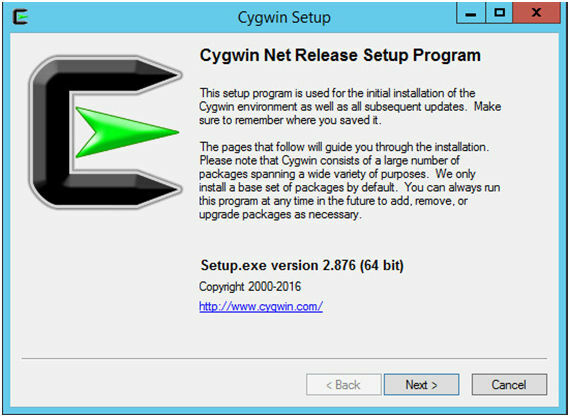 Cygwin is now installed on the server. Congrats!!! 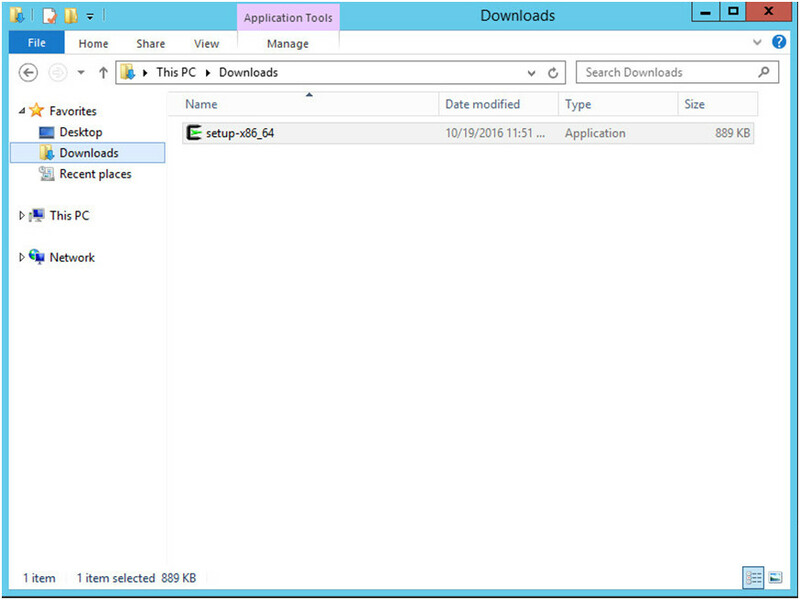 Now you need to configure SFTP, outlined in SFTP Configuration for Windows Server.